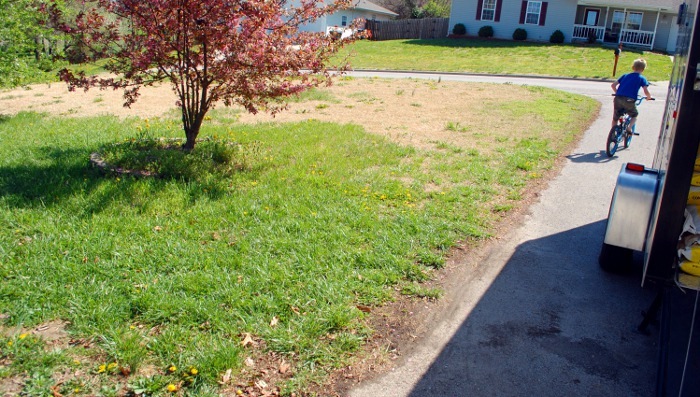 Our lawn is not particularly attractive, and the only part of the property where we have BOTH sunshine AND flat ground is in the front yard. 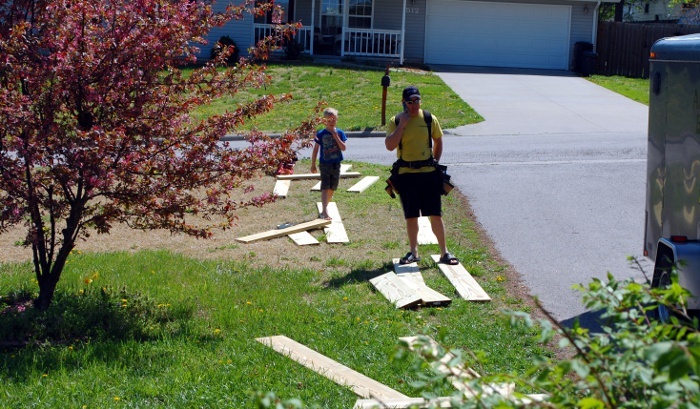 We decided to build along the driveway. Assemble the boards into a rectangle with the short pieces overlapping the ends of the long pieces, and secure with three screws in each joint. 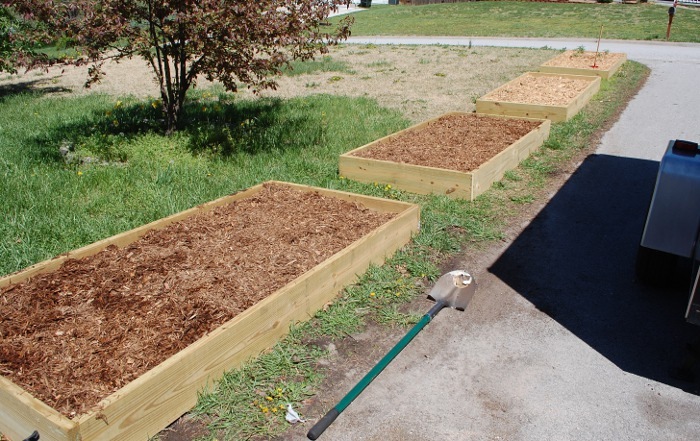 Finally, cover the dirt thickly with mulch. This helps prevent the garden from being colonized by weeds AND it also helps keep the dirt from drying out and blowing off. We’ve already transplanted some starts and planted some seeds, and only time will tell who will live and who will die. 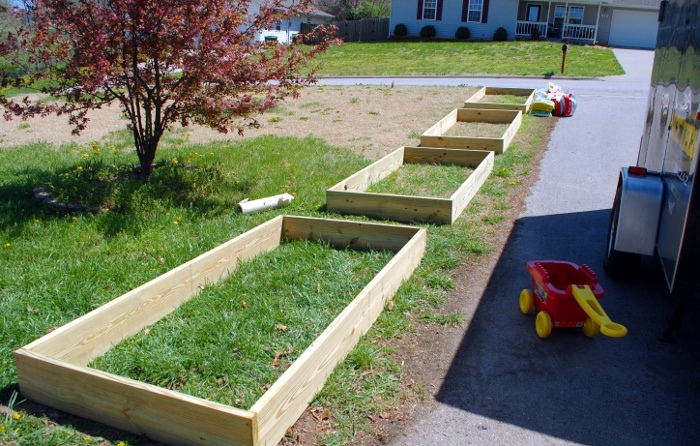 * A Note About Wood: On many websites you will read how you should never, never use pressure treated wood in a raised garden bed because it will leach arsenic into your food, and you should instead buy cedar ($$$) for your garden. Fortunately, wood treated with arsenic was banned a decade ago, so you can now use the cheap wood without fear of poisoning your children. Read more here. ← Make it in Minutes – Superhero Tees!